This tutorial will teach you how to use Blynk App to control NodeMcu's built-in LED. After installing Blynk App on your cell phone, you have to register a new account to receive the ATUH TOKEN. 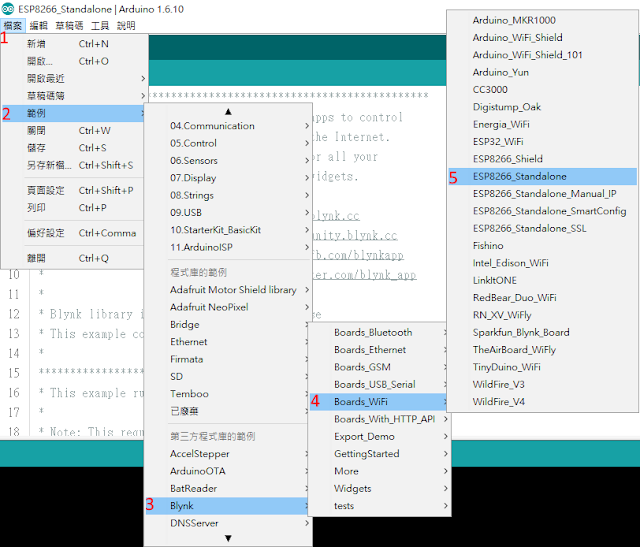 Install Blynk library for Arduino IDE. 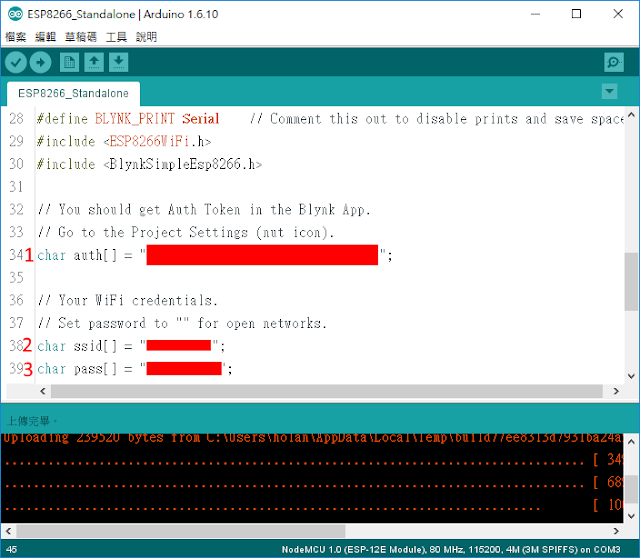 According your setting, the auth, ssid, pass are to be modified. Then, you can upload the firmware to NodeMcu. 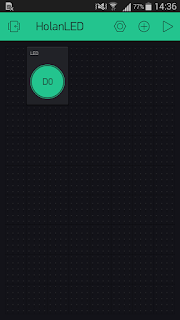 Use Blynk App to create a new project. 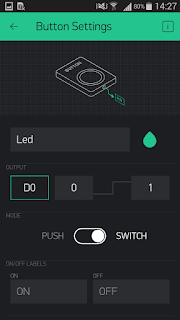 For this tutorial, we only need a switch button to control the built-in LED which is on pin D0. You can press the play button(the triangle icon) to control NodeMcu's LED.